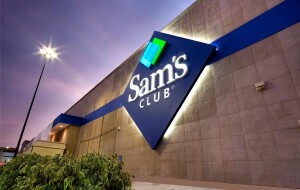 Walmart's first store outside the United States opened in Mexico in 1991 - a Sam's Club in Mexico City. In 1997, Walmart acquired a majority position in Cifra, and in 2000 the name changed to Walmart de México (WALMEX). In 2018, Walmart announced the acquisition of Cornershop, a leading online marketplace for on-demand delivery from supermarkets, pharmacies and specialty food retailers in Mexico and Chile. For more information on Cornershop in Mexico, go here. 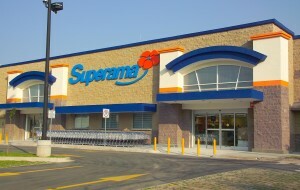 Superama serves as a leading Mexican supermarket, offering a wide variety of pantry needs – fruits and vegetables, meats, seafood, grocery, wines and spirits, cleaning, home, hygiene and health. Walmart's hypermarket stores provide the widest assortment of merchandise, from groceries and fresh, to apparel and general merchandise. Walmart was the first format that emerged from the joint venture of Cifra S.A. de C.V. with Wal-Mart Stores, Inc. combining the best of both businesses. Bodega Aurrera is the discount store of Walmart in Mexico and Central America. If offers more for our clients' money through the strategy of Every Day Low Prices. These stores provide basic merchandise, food and household items at the best price. Sam's Club is a membership warehouse club that focuses on small businesses and consumers who seek the best possible prices. It offers a variety of innovative and differentiated merchandise, and its leadership in technology at the best price is its masuin differentiator. Continued investment in sustainable facility designs has resulted in more than half of our stores in Mexico being powered by wind and other clean energy sources. And, when it comes to supporting local initiatives, Walmart Mexico and our associates are on the ground, donating the time and resources necessary. View the 2018 Global Responsibility Report to learn more about Walmart’s global initiatives.